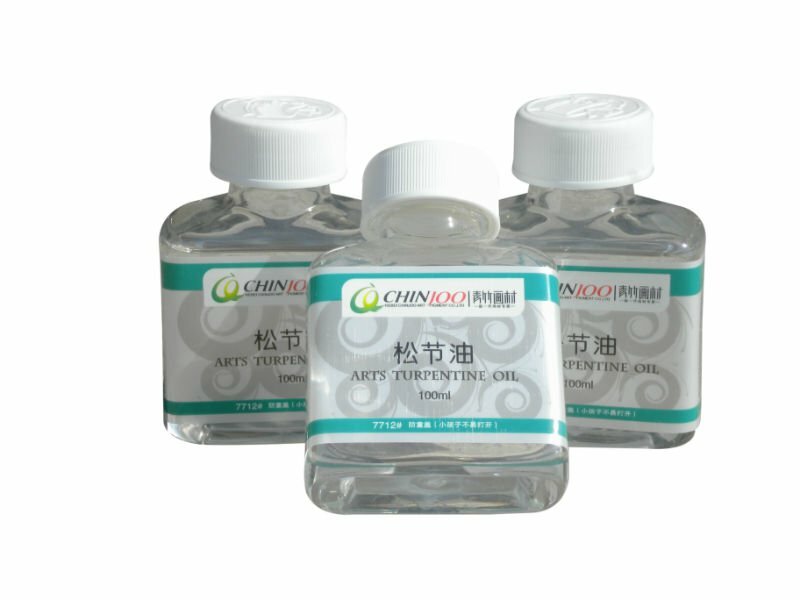 Arts Turpentine Oil is produced with resin and spirits of turpentine after distillation process. It is volatile, clear and transparent without any impurity. It can not mix with water. It is a common medium for oil paintings. It can mix with pigment and has no binding power. It is flammable. It is produced with resin and spirits of turpentine after distillation process. It is volatile, clear and transparent without any impurity. It can not mix with water. It is a common medium for oil paintings. It can mix with pigment and has no binding power. It is flammable. 1. Selects the turpentine resin, pine seeds as raw materials to refine by destillation. It is volatile easily. 2. Can not be mixed with water. It`s the transparent material often used for Oil Painting. 3. Turpentine oil plays the role of dilution of the oil paints. Can be volatile with 2 minutes with the matte effect. Can be used as a matte varnish when drawing the oil painting. Due to the feature without residue after drying. It`s suitable for thin painting. After drying, the oil paitn will seem a little dull. 4. Can be used for mixing color directly and have the adhesive power. 5. Belong to flammable materials. Looking for ideal Arts Turpentine Oil Manufacturer & supplier ? We have a wide selection at great prices to help you get creative. All the Professional Arts Turpentine Oil are quality guaranteed. We are China Origin Factory of Artists' Turpentine Oil. If you have any question, please feel free to contact us.